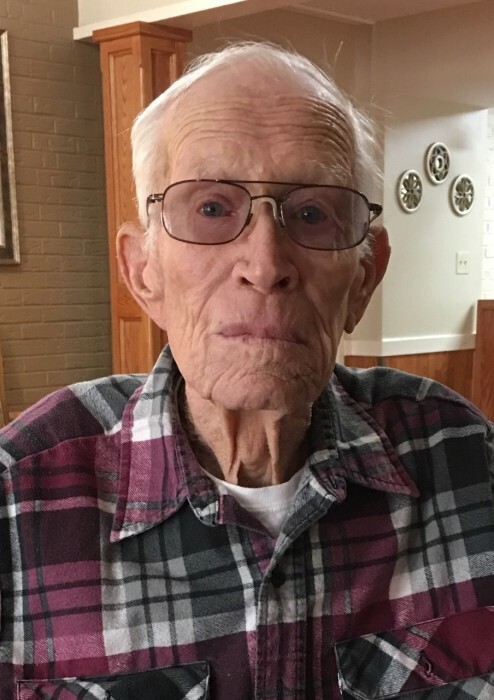 James Walter “Jim” Hines, 87, of Scipio passed from this life peacefully on January 28, 2019, at Seymour Crossing with his family by his side. Born October 7, 1931, in Scipio, IN, Jim was the youngest of four children born to Wallace and Madge (Perry) Hines, Sr. He married Edith Louise Buchanan in Jonesville, IN February 29, 1952. He was predeceased by his parents, his wife and his brother, Clyde William Hines. He is survived by a brother, Wallace Harold Hines, Jr., his only sister, Mary Louise (Hines) Burkman and several nieces, nephews, great nieces and great nephews. As early as he could, Jim quit school to work on the family farm. He also worked for other neighboring farmers. He could drive a team of horses and any kind of vehicle and did so long before his legal age. He was always a hard worker. He went to work at Cummins Engine Company March 22, 1950. He learned how to use precision measuring instruments and became a fine tool maker, retiring from Cummins after 35 years of service. Jim lived a full life. He and Louise were a team. A few times you might have seen Jim sitting on his tractor with the scoop raised high and Louise standing in the scoop putting a fresh coat of red paint on the barn or the corn crib. They always had some combination of animals including cats, dogs, chickens, donkeys, a turkey and even hermit crabs. They always had a garden or two. He snapped most of the green beans that Louise canned every summer. He always kept his yard mowed short. He spent lots of time on his mower like it was therapeutic. If he wasn’t on his mower or his Kawasaki Mule, he was sitting in front of his garage watching cars go by. He and Louise enjoyed going out to eat with friends and often went dancing at the North Vernon Senior Center. Jim liked to go visit friends or family and he always came home a different route. He said you never come and go the same way. During much of his life, Jim was willing to lend a hand to anyone who needed it. He suffered some mild strokes, one that left his right hand weak. He devised his own physical therapy by picking up hickory nuts. He practiced writing his name and regained very legible penmanship. For many years he kept a journal of his daily activities, weather conditions and any other news from his day. As his health began to deteriorate, his journal entries became shorter. His last entry was June 13, 2018. A few days later he suffered a fall that altered his mobility as well as his cognitive skills. Truthfully, Jim was never quite the same after losing his beloved Louise January 1, 2014. In lieu of flowers, memorials may be made to Our Hospice of South Central Indiana or Jennings County Animal Control. Jim’s family would like to thank friends, neighbors, and family for cards, visits, meals and especially prayers as his health began to fail. A special Thank you goes to the staff of Seymour Crossing for loving on Jim and making his last months as comfortable as possible. Their kindness, compassion and guidance helped make difficult decisions easier. The funeral will be at 1:00 p.m. on Friday, February 1, 2019, at the Dove-Sharp & Rudicel Funeral Home and Cremation Service in North Vernon with the Rev. Connie Barr officiating. Family and Friends may call at the funeral home on Friday from11:00 a.m. until time of service. Burial will be in the Scipio Cemetery.